It’s a fantastic read and there’s some really cool shots of the miniatures in his gallery. Thanks to Hudson for the news. Fantastic, thank you for the link. Great site, some wonderful photos there. 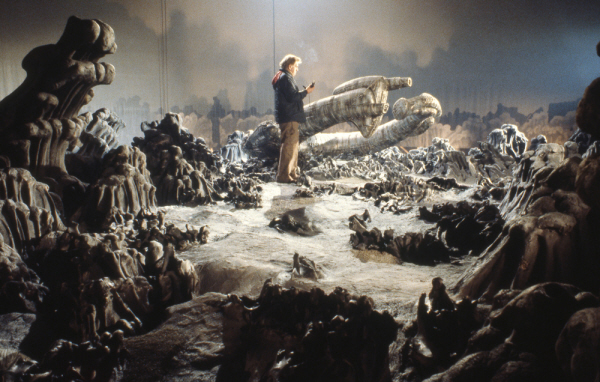 The craftsmanship on those miniature sets and the way they were shot is a testament to how amazing the first ALIEN was. It seems like everyone who contributed gave 100% on their jobs and the result is the movie we have. Thanks for the link I thought that was really interesting to see the models up close. The derelict sure doesn't look like it's sitting flat. Quite an angle isn't it? Didn't Ridley say it landed or something? To me this clear view looks more of a crash or a harsh landing. Nice pictures though. I love the detail we can see on the derelict, all those little etches and panels look cool. It looks like the prongs on the derelict model are curved upward. It's not the same as the Juggernaut which is more circular and 'flatter'. The coolest shots are the engine room. That miniature seems to be the most elusive thing ever. I don't remember seeing pictures of it anywhere and it lasts about half a second in the movie. Something to listen to while browsing. When do we see the engine room in the movie? Scene where Ripley's activating the self destruct. Ah that's right I can visualise it now, must be about time for a rewatch!